In their first two games, Argentina has won one while lost one. This is their final game in the group D stage game. If they fail to gather three points from it, then they will eliminate from the competition and won’t be able to play further quarterfinal rounds. On papers, Brazil has a very strong squad filled with star players, but it can’t be said for the Argentines. Thus, it won’t be surprising if they fail to go past the knockout stage. 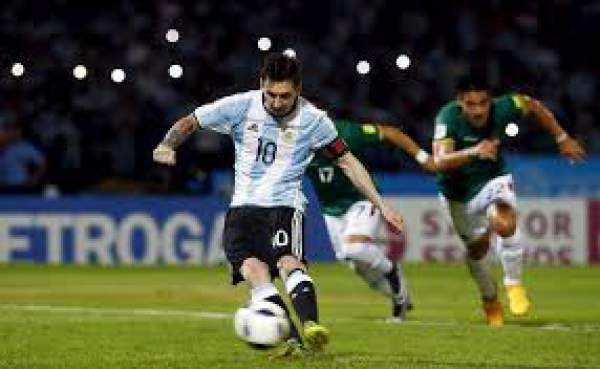 However, Argentina is always expected to win regardless of the opponent teams. The hopes for the team increased when Jonathan Calleri made his side win with a 2-1 victory against Algeria even when his team went down to 10 men. “It appeared that goal was finally opened up for us,” Calleri said after scoring the much-needed goal in the last match. “My last shot against Portugal didn’t go in and stopped by the bar. However, I finally succeeded in doing that with Algeria. “Such things happens in a football game. It was good luck that ball went in after hitting my knee and goalkeeper failed to protect it. It was the chance for the striker,” he added. After winning that game, Argentina now needs at least three points to book their seat in the quarterfinal round. Portugal has already qualified for the stage. Winning against Honduras with three points is a must to keep Rio 2016 hopes alive. Let’s see if the 22-year-old Calleri turns out to be a star player for the team. However, he will be a valuable asset for Argentina in any case. He would be happy to contribute to the nation in whatever way he can. On the other hand, he is finding it difficult to swallow the fact that he has been chosen to represent his country in the Olympics. “In my childhood, I didn’t have a dream of such a big moment. It is unbelievable for me to represent my country at the Olympic Games. Just four years ago, I was just playing for All Boys and wasn’t even in the top division. Now, it is like a dream,” Calleri added. Now, this is the duty of Argentina to find space and score goals to keep up their hopes to go in the next round of Rio 2016. Whereas Honduras will go in the next round even with a draw. Argentina needs to create a massive goal difference. ARG vs HON is scheduled to start at 1 p.m. local time (9.30 p.m. IST, 5 p.m. BST). Below are the full Live Stream and TV information. India: No Live TV coverage. Live Streaming: Hot star. Argentina: TV: ESPN and Fox Sports. Live Stream: ESPN Play Latin America. Brazil: TV: SporTV, Fox Sports, and ESPN. Live Streaming: ESPN Play Latin America. The Middle East and North Africa: TV: Bein Sports Arabia. LiveStream: Bein Sports Connect. UK: TV: BBC Red Button. Live Stream: BBC iPlayer. USA: TV: NBCSN. LiveStreaming: NBC Sports Live Extra and NBC Olympics.